"I LOVE your products. Few things are more relaxing than on a Saturday afternoon slipping away to the hangar, listening to music, and enjoying turning my Shrike Commander from a soot-ball to a shiny beast. I was told that nothing would remove the exhaust stream on the Shrike, yet after a few Powerfoam applications i proved the hangar pilots wrong. By applying the Flyers Speed Wax and Supreme Glaze, i only make my job easier the next time". 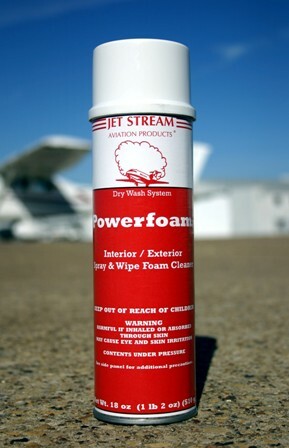 Powerfoam is an aircraft exterior spray and wipe foam cleaner. Powerfoam will effectively clean carbon exhaust on engine cowlings, oil, bugs and fly dirt from surfaces while leaving a clean, streak free finish. 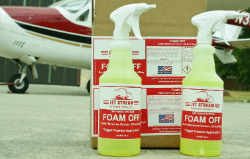 Powerfoam is always a great product to clean landing gear, flaps, belly, leading edges or any other area of an aircraft. Excellent for quick-turns when a pilot wants to make his aircraft presentable between wet wash jobs. On interiors, Powerfoam is a germicidal cleaner that will effectively clean smudge marks, nicotine stains, oily fingerprints and food stains. 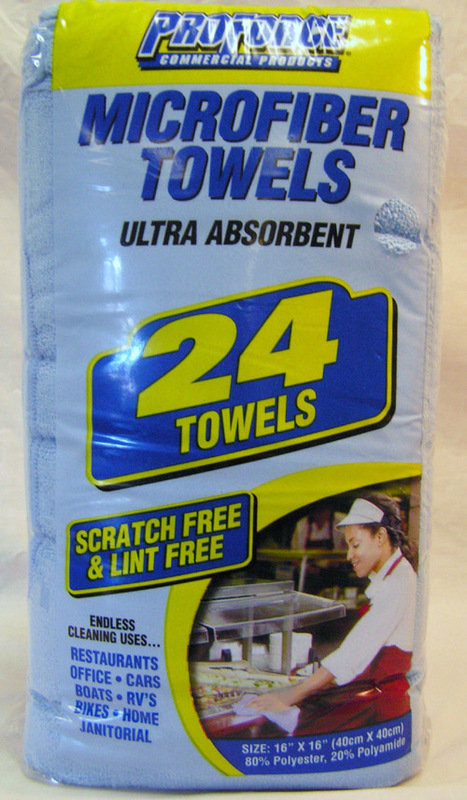 For use on sinks, lavs, table tops, woodwork, floor runners and galleys. Not for use on suede or silk. Cleans Most Any Surface, Streak Free, Perfect For Quick Turns And Interiors. Powerfoam Cannot ship using UPS or Fedex Air Freight since it is an aerosol. Will ship by Ground service only. Quick Turn Aircraft Trip Ready spray and wipe enhances gloss on aircraft between waxing. Quick Turn keeps aircraft looking “Just Waxed”. For use between flights when washing or waxing is not required. Quick Turn is easy to use! Spray on, spread quickly, and wipe dry. Provides High Gloss, No Pre-Cleaning Necessary, Carnauba Enriched. Flyers Speed-Wax is a specially formulated waterless aircraft dry wash and high gloss protectant. Flyers is a Carnauba Enriched product with an easy-on, easy-off application process. With Flyers Speed Wax there is no need to pre-clean any surfaces before use. Flyers will allow you to clean your aircraft in a short amount of time, leaving the surface of the aircraft highly protected. Flyers can be applied directly to the aircraft with a trigger sprayer or, you can apply using a damp microfiber applicator by hand. Foam Off is a trigger spray foaming product that will effectively break down and suspend carbon, bugs and oil from aircraft surfaces making clean-up simple and fast. Foam Off is designed specifically for removing bugs from leading edged. Carbon, oil and bugs from flaps and landing gears. Oil and carbon from behind exhaust stacks, thrust reversers, and bottom of aircraft engines. Safe for all exterior painted surfaces. Click Here To See Plexi-Clear Many Uses. Great At Removing Bugs From Polished Aluminum. Plexi-Clear is an anti-static aircraft plexiglass cleaner, protectant and polish. Plexi-Clear produces a microscopic, high luster, soil retarding and water repellant finish to all aircraft plexiglass and plastics. Plexi-Clear actually seals the pores of the plastic and leaves small scratches less visible, leaving a surface that is fresh, lustrous and protected. Plexi-Clear dries perfectly with no smears, scratches, or smudges. Plexi-Clear can be applied in seconds, in one easy step. Boeing and MIL Spec Approved. Plexiclear cannot ship using UPS or Fedex Air Freight since it is an aerosol. Will ship by Ground Service only. The Jet Stream Dry Washing Kit includes one case Powerfoam, one case Plexi-Clear, one case Flyers Speed Wax, one case Quick Turn, one case microfiber applicator pads and one case microfiber cloths. Every product you need to dry wash any size corporate aircraft is included in this kit. If you are a mobile detailer then this kit is a must for your service truck. For flight departments, this kit is the ultimate to take care of your aircraft. For maintenance facilities that need to keep their customers happy by including a detail upon delivery, this kit is a must have. Powerfoam and Plexiclear cannot ship using UPS or Fedex Air Freight since they are aerosols. Will ship by Ground Service only. Safe for Use On All Aircraft Surfaces Including Plexiglass. Microfiber Cloths are outstanding when used for cleaning wax from aircraft surfaces, Special case quantities of 36 cloths or excellent for flight department safety requirements. Easily removes wax buildup from rivet and screw heads. MicroFiber fabric is 100 times finer than human hair and has ninety thousand micro fibers per square inch. This makes for superior durability, ultra soft, scratch free and streak free. Wash and reuse. High quality plastic, chemical resistant trigger sprayer and bottle. Dilution ratio markings from 10-1 to 1-1. Sprayer will adjust from a stream to a mist. 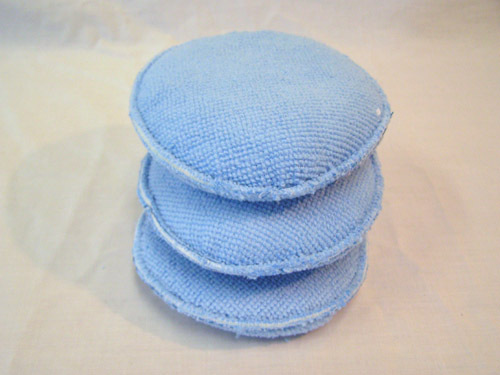 These soft 100% microfiber five inch diameter wax applicators are extremely durable, with double stitched seams, over a foam disc. These wax applicators are a must when polishing an aircraft or dry washing an aircraft using Flyers Speed Wax. Applicators can be washed and reused numerous times.